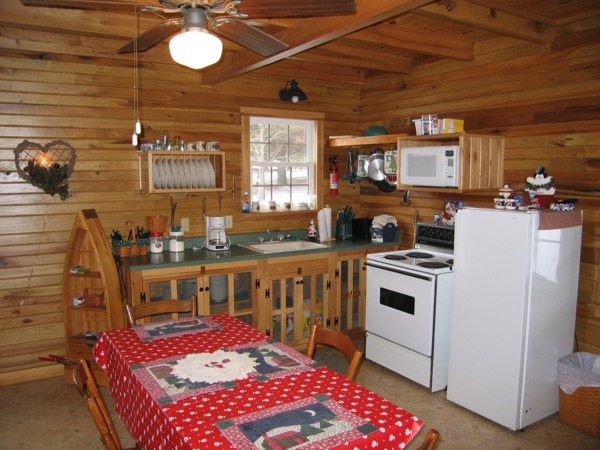 Bittersweet Farm offers guests a choice of three rental cabins that range in size and decor. 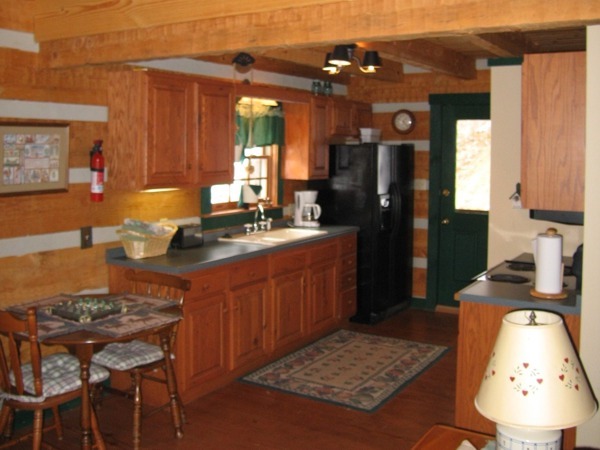 All Cabins are located in a private 300 acre private game preserve surrounded by state forest and state game areas. They are easily accessible close to many state parks, wild life areas, Ohio University and many other popular Hocking Hills area attractions. 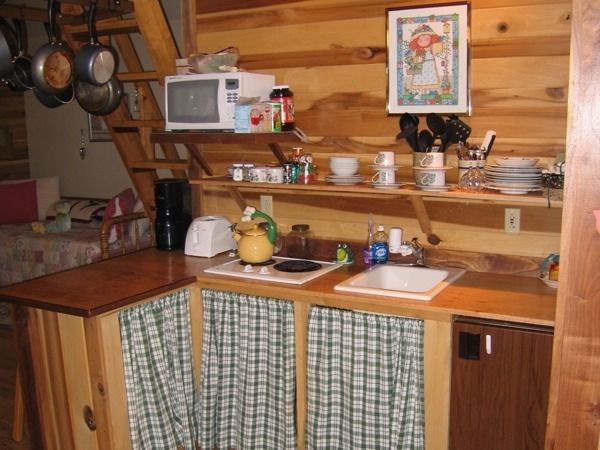 The cabins are fully furnished, equipped with hot tubs, outdoor gas grills, outdoor picnic tables, fire rings (firewood provided). Each cabin has two covered decks, beautiful custom made woodwork on the interior and offer a full size bath, kitchen facilities with stove, refrigerator, microwave and inside dining areas. Bed and bath linens are provided. 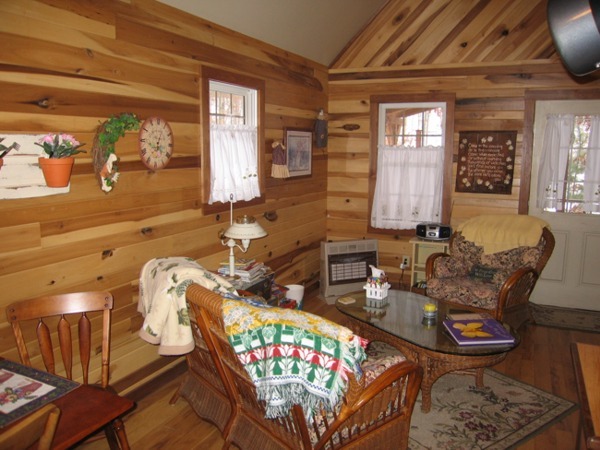 The Moose Cabin, an authentic Appalachian log home sleeps up to 12 and is also equipped with a full size washer and dryer and a gas log fireplace. 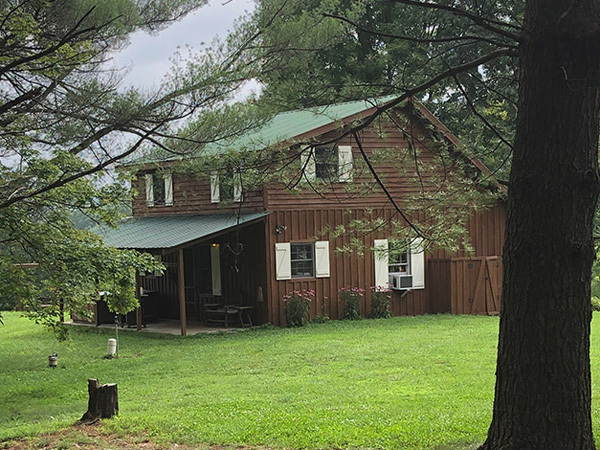 The Christmas Cabin, a great family cabin, is also equipped with a gas log fireplace, sleeps up to eight 8, has almost a 360 view of the beautiful southern Ohio hills, lots of lawn space and direct access to a stocked fishing pond. 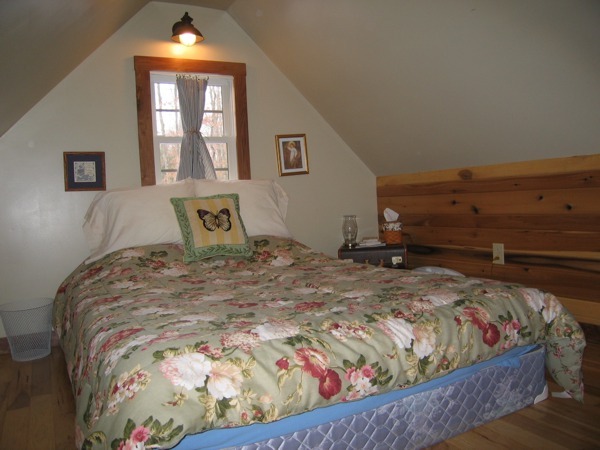 The Potting Shed is a secluded, intimate cabin situated in a wooded setting overlooking a stocked fishing pond. It sleeps up to four adults and is a great honeymoon, anniversary cabin or affordable retreat for a young family. Multiple Night Discount - Save 10% ! Now thru 1/1/2020. Available when you stay 4 or more nights. Discount applies to Sundays, Mondays, Tuesdays, Wednesdays, Thursdays only. The 1st night of visit must begin on Sunday, Monday, Tuesday, Wednesday, Thursday. 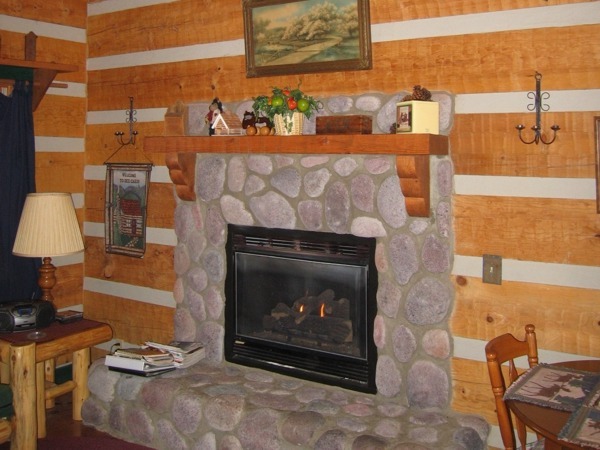 "Stay at Bittersweet Farm Cabins for four or more nights and SAVE!" 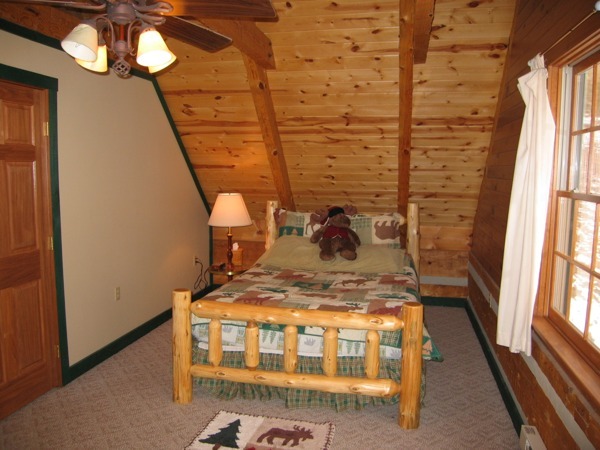 Romantic getaway cabin with sleeping loft queen bed and two twin beds in living area. Small refrigerator, microwave and two burner electric rangetop. Hot tub on back porch and gas grill on front porch. Picnic table and campfire ring with wood supplied. 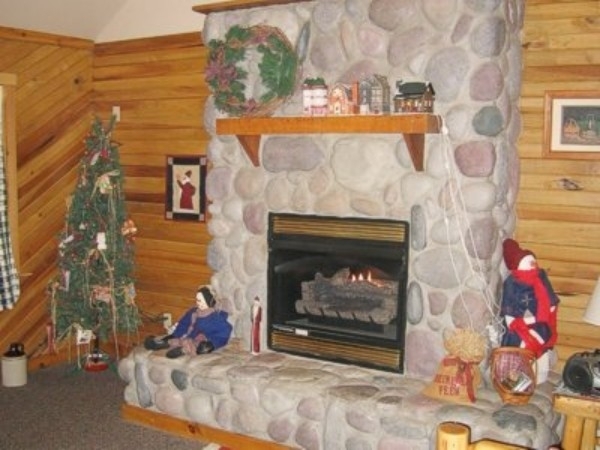 Christmas year round 2 Bdrm/Sleeps 8-Full size mattress in bedrooms, 2 twin size daybed/trundle queen futon in vaulted ceiling living/dining/kitchen area. Full kitchen, hot tub gas grill on back porch. Picnic table, fire ring firewood provided.